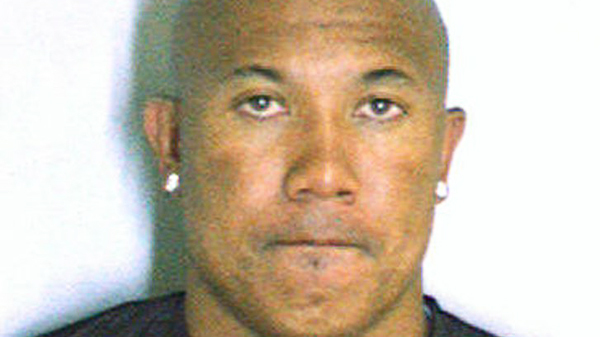 DECATUR, Ga. (AP) — Pittsburgh Steelers wide receiver Hines Ward was arrested early Saturday outside Atlanta on a drunken driving charge, sheriff's officials said. The former Super Bowl MVP and reigning "Dancing With the Stars" champ was booked into the DeKalb County jail at 3:41 a.m. and charged with driving under the influence. A jail official said he was released on US$1,300 bond, though the sheriff's office website said his bond was set at $1,000. The discrepancy couldn't be immediately resolved Saturday. The sheriff's office said it had turned over paperwork to the courts and couldn't release any further information about the player's arrest. DeKalb County police did not return repeated emails and phone calls seeking details of the arrest. Atlanta lawyer Andrew Ree issued a statement saying the 35-year-old Ward co-operated fully with police and truthfully answered their questions. "From our preliminary investigation we can tell you that we are confident that the facts will show that Hines was NOT impaired by alcohol while driving," Ree wrote. "However, Hines is deeply saddened by this incident and apologizes to his fans and the Steelers organization for this distraction." Dancing with professional partner Kym Johnson, Ward in May became the second professional football player to win the "Dancing" crown after Emmitt Smith won in 2006. He bested actresses Kirstie Alley and Chelsea Kane to become the season 12 champion of the TV celebrity dance competition.